PHOENIX ­­– Each season, football players at Desert Edge High School in Goodyear have to hold three different stances for 30 seconds with their eyes closed and their hands on their hips. The goal: recording how well they balance so football trainer Michelle Weber can evaluate a player who suffers a suspected concussion. Before this season, a medical clinician came in to record the errors in the players’ balance testing. This season, each player holds the stances with an iPhone or iPad clutched to his chest. The devices use the Sway Balance, an app developed by Barrow Neurological Institute that Weber said is not only free but far more accurate because it provides results on par with having athletes evaluated in a medical facility. Desert Edge is one of more than 100 schools in Arizona that have joined the Barrow Concussion Network, which offers student athlete trainers in Arizona licenses to use Sway Balance at no charge. Arizona State University’s football team uses it as well. The app assesses how players balance in stances such as feet together and standing with one foot in front of the other. Each takes just a few seconds, with the iPhone or iPad buzzing when a step is completed. 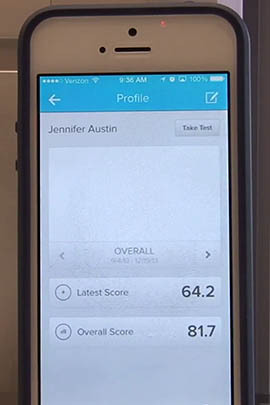 The app creates a chart for each athlete that trainers can refer to when an injured player performs the same balance tests. Dr. Javier Cardenas, a child neurology specialist at Barrow Neurological Institute, said Sway Balance, which uses a device in smartphone and tablet operating systems that measures acceleration, is a way to use widely available technology to protect athletes. “In this day and age, when we are all worried about concussions, we can be satisfied that we are doing absolutely everything we can to take care of them, ” Cardenas said. The Barrow Concussion Network also offers schools free online cognitive testing and free concussion consultations. Tamara McLeod, a professor and director of athletic training at A.T. Still University, said via email that while the app doesn’t detect concussions it helps those evaluating the severity of injury. “It is not meant to be diagnostic, but rather can help clinicians evaluate different aspects that could be affected after a concussion,” she said. 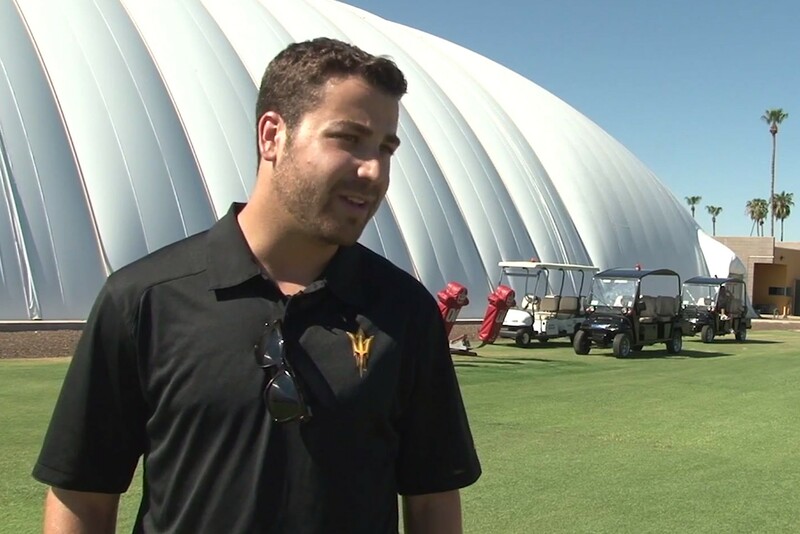 Thomas Lenneberg, media director for ASU’s football team, said one of Sway Balance’s advantages is convenience. “It’s an easier way to test some of this stuff opposed to some of the higher tech bulky stuff that has been around in the past,” he said. At Desert Edge High School, Weber said Sway Balance is making a big difference not just as she and coaches assess concussions but measuring recovery. 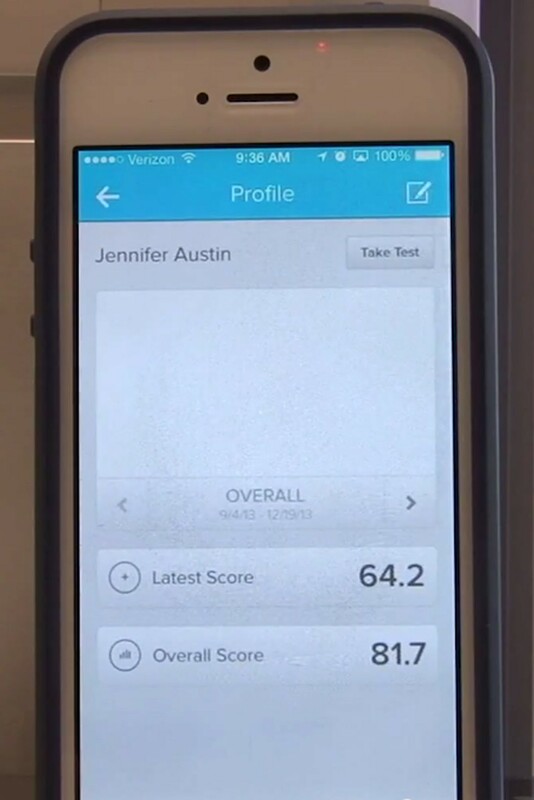 Sway Balance, an application developed by Barrow Neurological Institute, assesses athlete's balance before and after an injury. 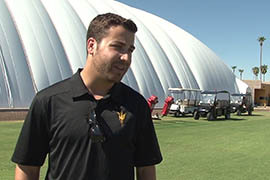 Thomas Lenneberg, media director for ASU's football team, said one of Sway Balance's advantages is convenience.